A successful exhibition should be thought provoking. The curator aspires to stir your emotions and hopefully connect with the viewer. 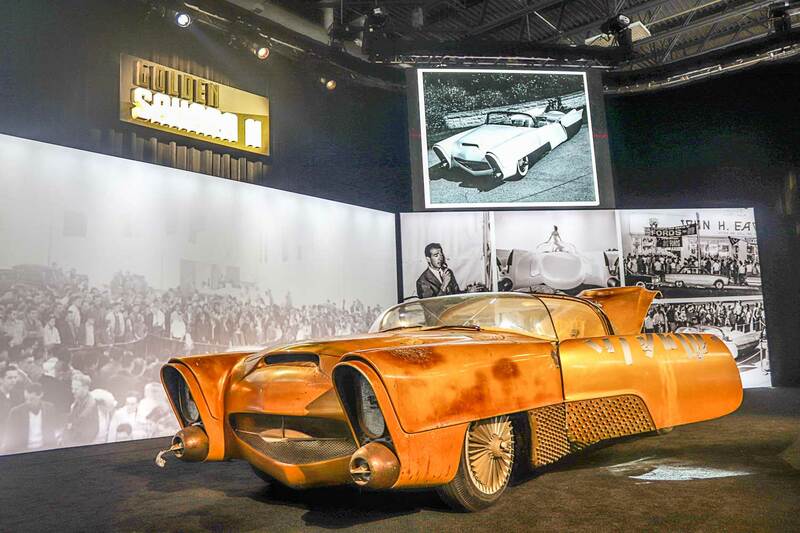 In my case, World of Speed’s new tribute to Porsche’s iconic little rocket ship was a resounding success. It had me asking myself when I first became aware of the marque… without much difficulty, I had it. We were young! 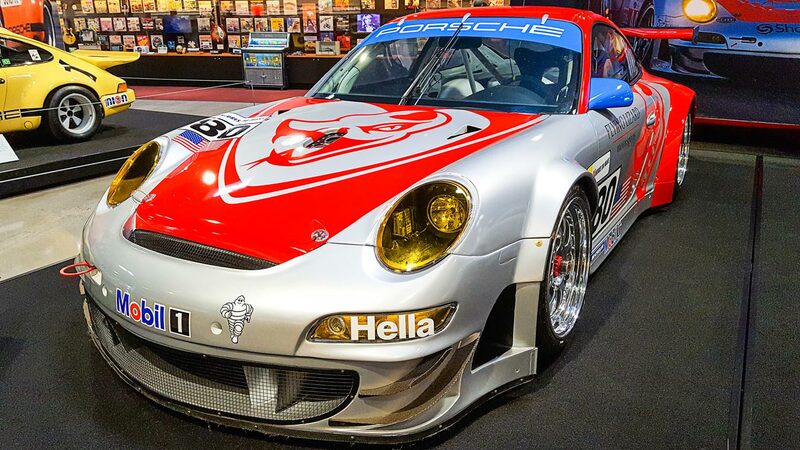 The 911 model was only three years old but already a popular race car. I distinctly remember watching a regional event won by a yellow sports racer (likely a Lotus 23). A white and a brown 911 ran second and third respectively, within a car length of each other the entire distance. 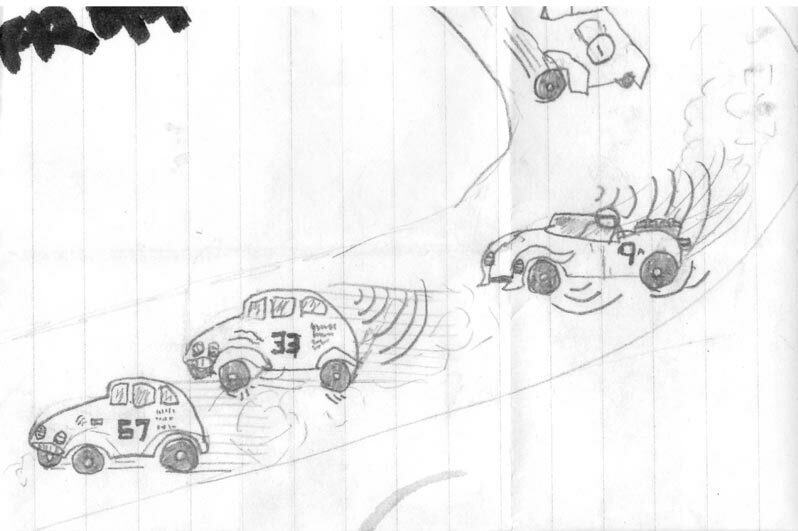 I drew a picture of the race from memory in my school binder the following Monday. My Porsches looked more like Volkswagen Bugs but trust me, I knew the difference. 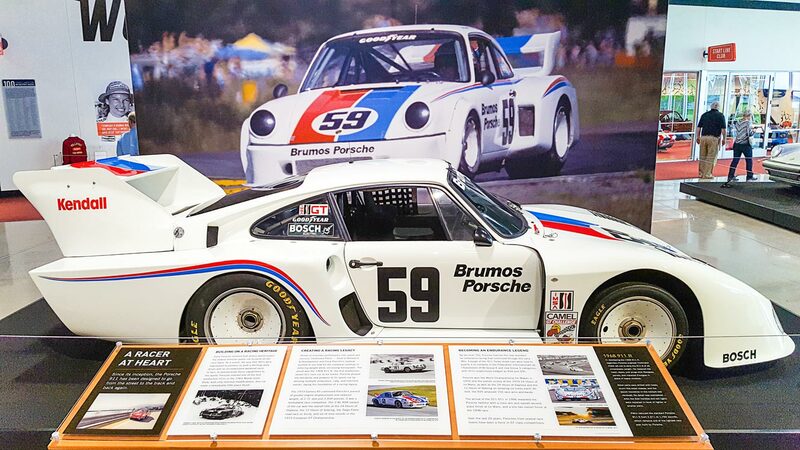 911’s were featured at every road race I attended at Laguna Seca and Sears Point from the mid-sixties on. 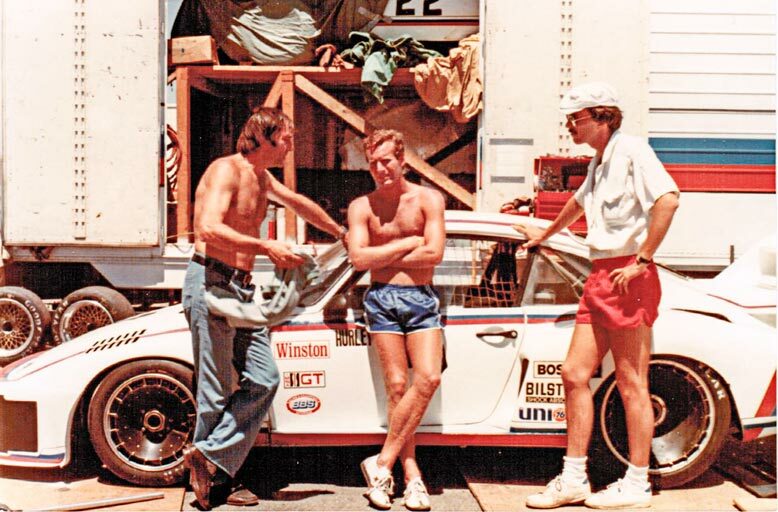 I was fortunate to get to watch Peter Gregg compete in the under two liter class in the early Trans-Am series. His white #59 was always competitive and typically finished amongst the Mustangs and Camaros. The International Race of Champions (IROC) conceived in 1973 was a neat deal. The idea was to put the best drivers in world in identical 911 Carreras and let them go at it on select road courses and ovals. The cars featured air-dams, wide fender flares and whale tails. Each was painted a different color so it was easy to follow your favorite. I remember watching them on television…I think it was Riverside. The procession looked like a string of Easter eggs. 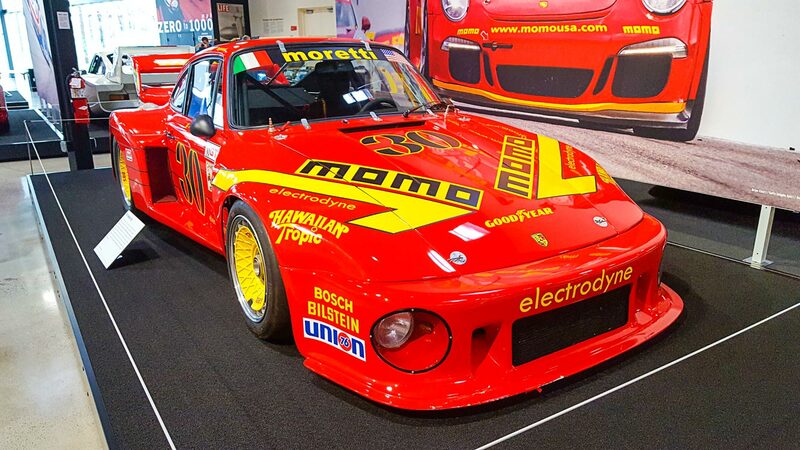 I think some of those Porsches ended up in the Camel GT because in the following years there was a glut of brightly painted Carreras running in that series. Lemon yellow, apple green, magenta, they were so cool! And the competition: Corvettes, BMW’s, (remember the Chevy Monza?). All competitors dolled up with aero kits- What a great series that was. 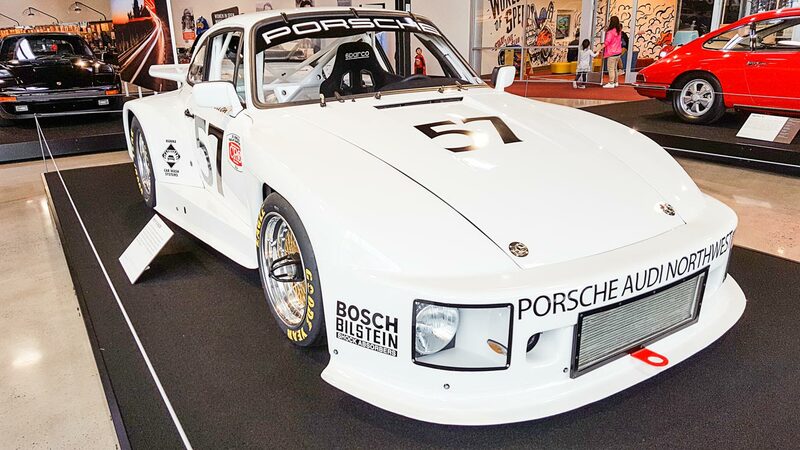 As the years went on, the body kits became more extreme and the cars looked less and less like the stock models they were based on. Most marques adapted turbo chargers. 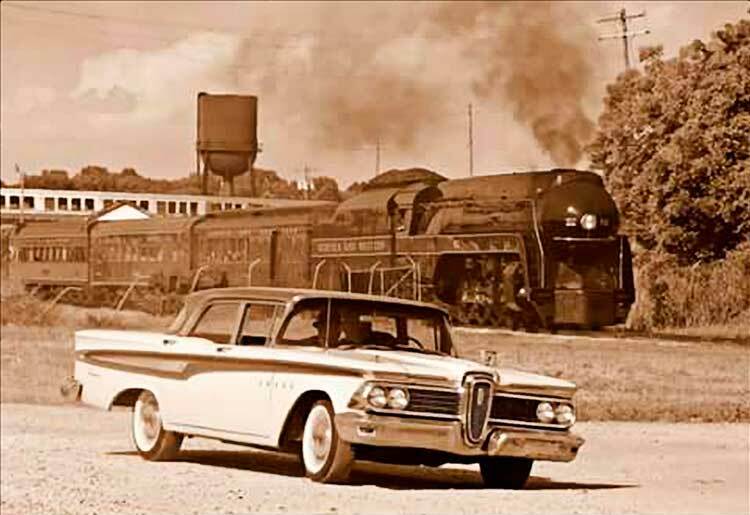 The Porsches would whistle down the straightaways and belch fire when the driver backed off. Spectacular! My buddies and I were avid slot car racers at the time. Since you couldn’t buy a miniature Porsche that looked like an IROC Carrera, I decided to build my own. Lindberg models made a plastic 911 that was the correct scale (a Targa to be specific). I attached cardboard fender flares, an air-dam and whale tail and painted the whole package a lethal gloss black. It had the right look but the first time I flew off course so did one of my flares! The next time we visited Laguna Seca there was a black 911 competing in the under two liter class with a homemade aero kit. Unpainted tin air-dam and makeshift fender flares. “Look! It’s Veltman’s slot car!” my buddies shouted. 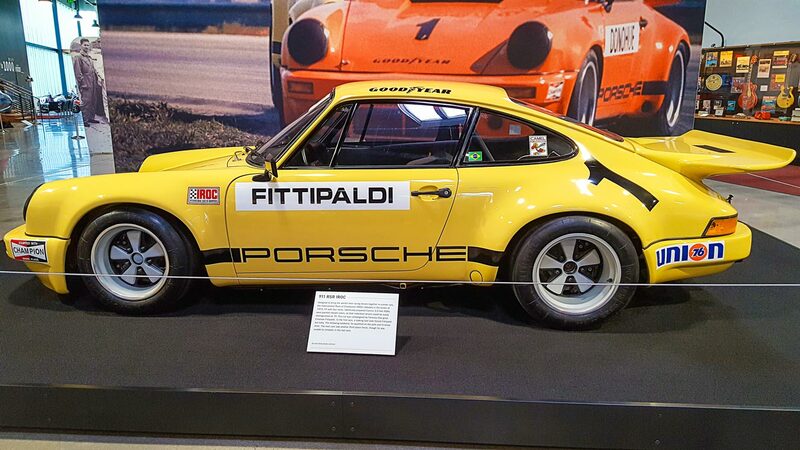 All good memories conjured up by a little Porsche 911 exhibit. Thanks for the memories World of Speed. Greetings GearHeads. As I write this at press deadline, it is springtime. But as you read this, it should be some kind of summertime. And us GearHeads know what that means, it’s cruising time. 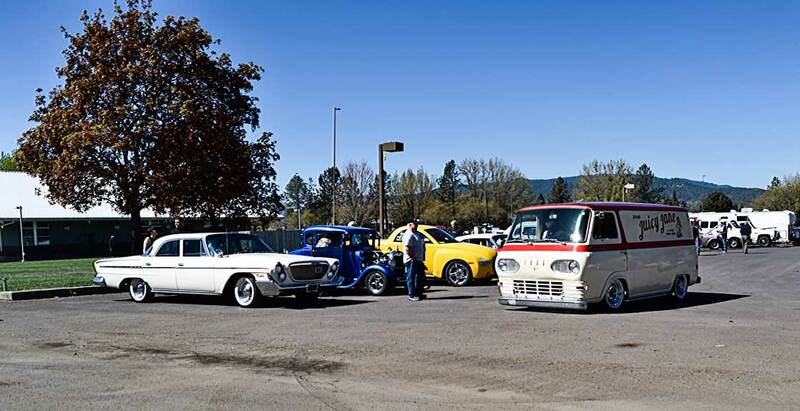 In fact you might very well be hanging at the first Beaches Cruise In of the summer out at Portland International Raceway. These cruises will run every Wednesday night all summer long. If you’re out there, you might find me wandering around. In fact, I might hit you up for a match race as the drag strip next door could use a little more business. OK, speaking of business let’s get down to it. Oh by the way, if you should happen to stumble across any VW aficionados at the cruise in, be sure to express your condolences for their CEO. The feds have charged him with conspiracy and more and he is expected to join several of his cohorts in their hotel with the iron bars. The feds are after several other of his high-level execs but it seems that they are all hiding out in Germany. The feds are eager for a little face time with them. Then it will be Guten Abend to them. Now, shall we talk about Tesla? Might as well as they always seem to make the news. So did you hear about the latest crash with a Tesla S full of teenagers? First let me share a little backstory. The Tesla Motor Car Company has received plenty of accolades. In fact, back in 2013 they received the highest safety rating of all time from NHTSA. We have been led to understand that their batteries have been designed to burn slowly. This would allow the chance for occupants to exit the vehicle safely in the advent of an accident. Didn’t work out so well for the two teenagers that burned up in this last accident. We don’t know all the details yet but we will see. Now let’s talk about hyper automation. This is something the Tesla motor car company has been lauded for. Some refer to it as their overly automated production process. It has something to do with machines that try to build machines that serve humans. It seems they have been having some issues with the troubleshooting capabilities of their robots. This piqued our curiosity so we consulted with the experts over at #GearHeadsWorld to see if they might enlighten us on some of this. They informed us that it was really quite simple. It was essentially all about Righty Tighty and Lefty Loosey. And we asked well, who is that? Anywho, once we got that all straightened out, we got down to the nuts and bolts of it. It seems that the GearHead robots do not have quite the same light touch that the GearHead humans have when it comes to threading the bolts. It goes something like they can’t always feel a bolt into the threads. And once they start to cross threading it you can’t just holler at them — back off Jack. Because they just keep power screwing it in. Anyway, most of us know that the MuskFather has been having a lot of fitment issues with his new Tesla S. So folks are beginning to learn why parts are squeaking around and falling off. All in due time… we guess. Okay now let’s finish off this silly chat session with something more GearHeadesqe, like we like to do. Let’s talk about the title of this here article. 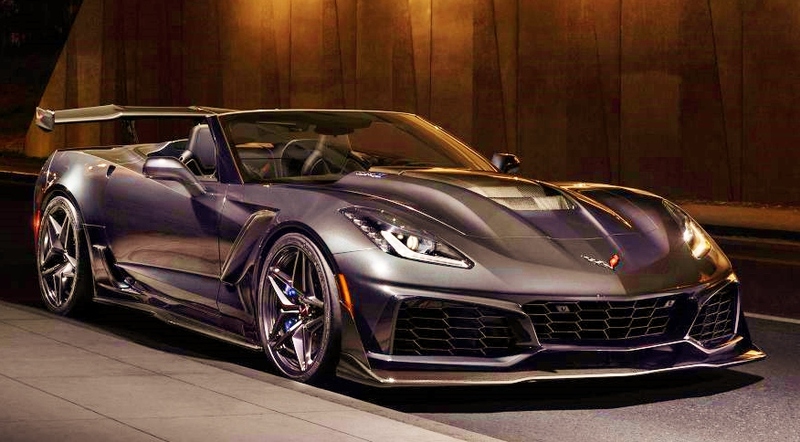 Yes we are talking about the new 2019 Chevrolet Corvette ZR1. Yes the one that anybody who is everybody is talking about. In a world where one car factory tries to outdo the other car factory by building their car faster than the others, a kind of world most of us thought was long gone back during the second Arab embargo around 1979… or whenever that was, we might see something like this. Wait what? Where was I? Oh yes, we are living in the world of Horsepower Wars and they are real! Yes there is this new Corvette out there, the 2019 ZR1. Some are saying that it will be comparable to the fastest supercars and hypercars on Earth. And that is saying something. And let me tell you Gomer, there are one hell of a lot of human hands involved in the building of this Beast. We are talking about a 16-valve, 6.2 L, Supercharged V8 that lays down 755 horsepower. Top speed is 208 mph. 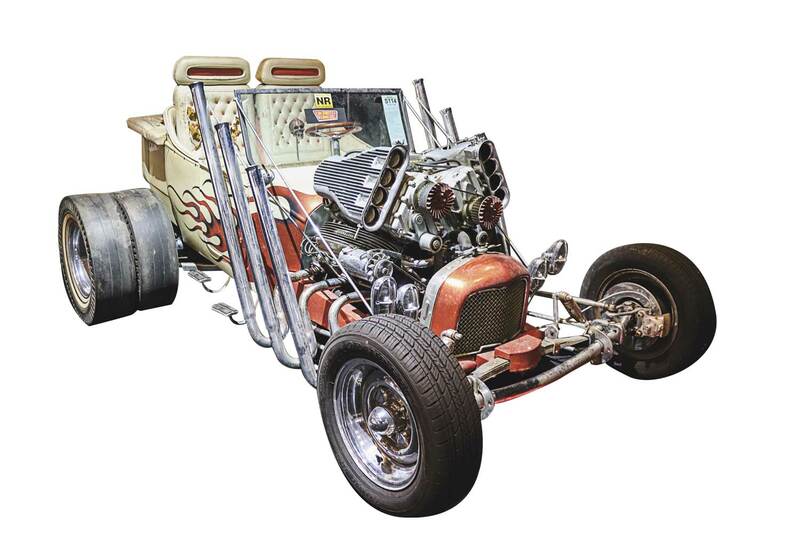 So git yerself some ‘o that GearHeads! That is if you can break your piggy bank and something well north of $100K comes out. It’s always exciting when spring arrives. 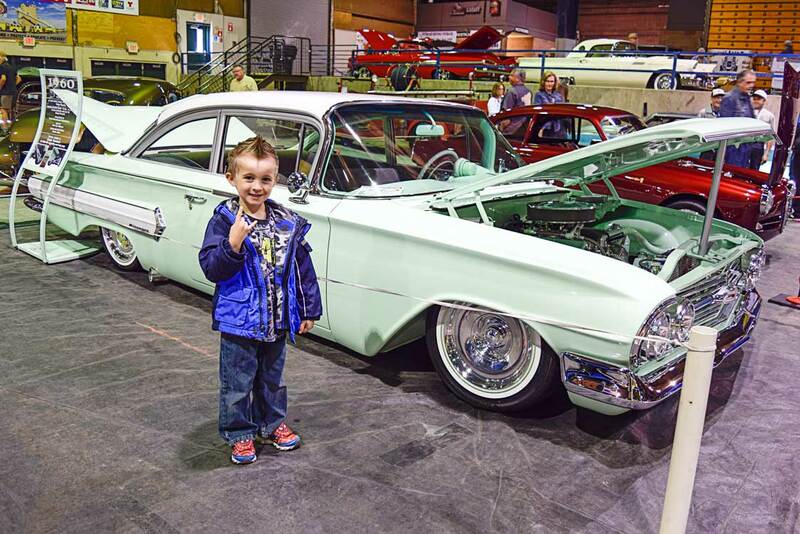 Better weather is coming and with it, car shows, cruise-ins, swap meets and other fun car related events begin to happen everywhere. 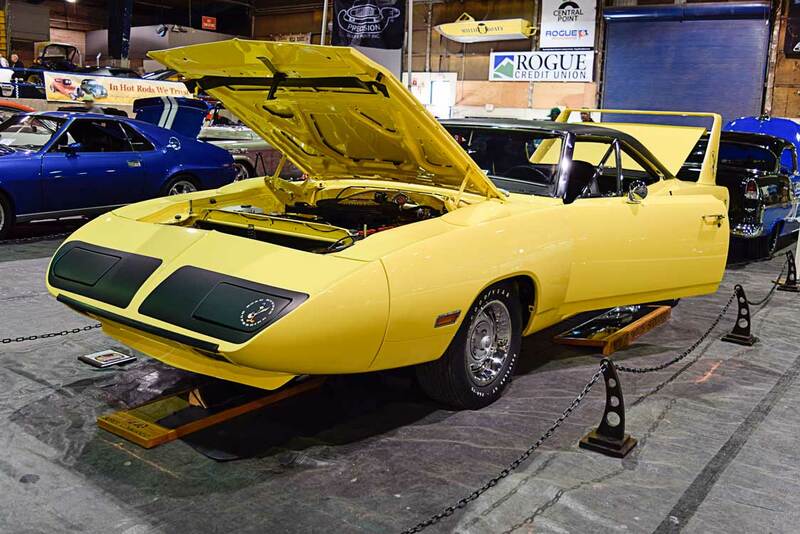 Of course, there are big car shows in January, February, March, and April through-out the Northwest. In fact, there are so many that this lowly reporter just can’t get to all of them. Luckily, (and thankfully) I have several dedicated volunteers who can cover some of them and that lets us be able to bring you stories about them. 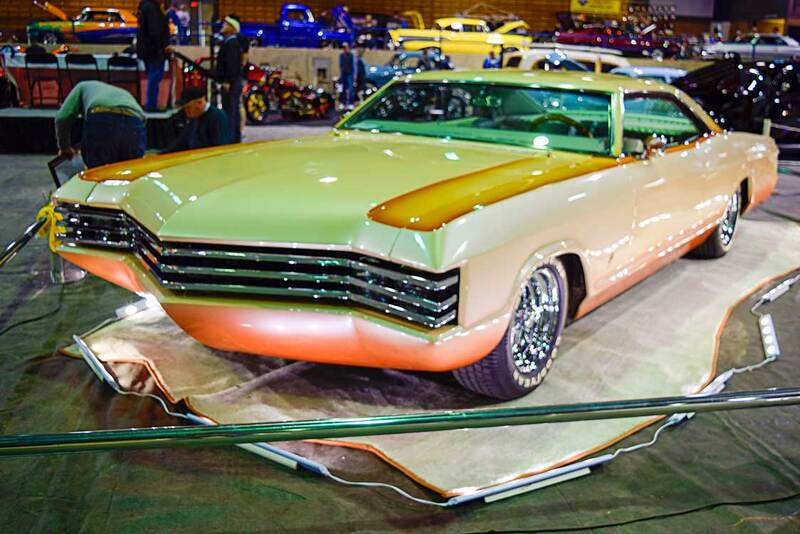 One I’ve been covering for a number of years now, is the Medford Rod & Custom Show. Promoter, Rich Wilson, always does a great job of getting new and different entrants to bring their cars for all of us to enjoy. 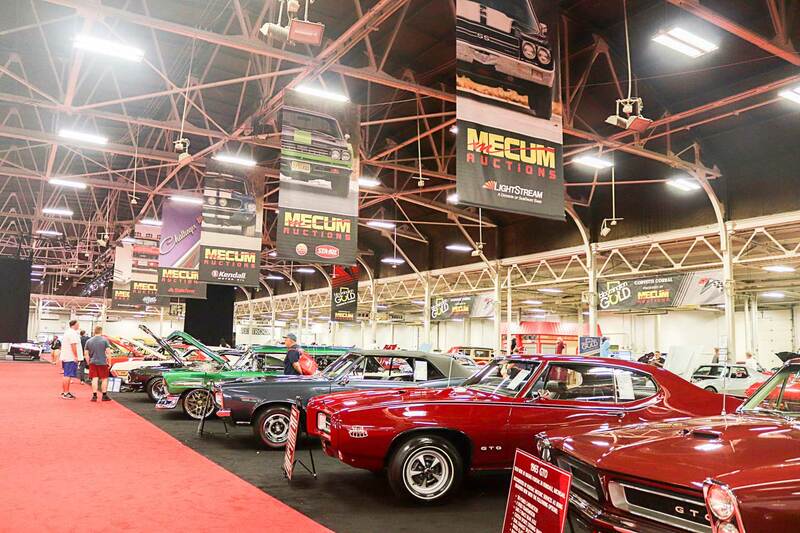 It would be pretty boring to see the same cars, trucks, and motorcycles every year. At this show you don’t have to worry, there’s something different every year. Many of you reading this may recall the marque Kaiser and/or Frazier. Some of you, probably have never heard of them. Fewer still, of you have ever actually seen either of them in person. 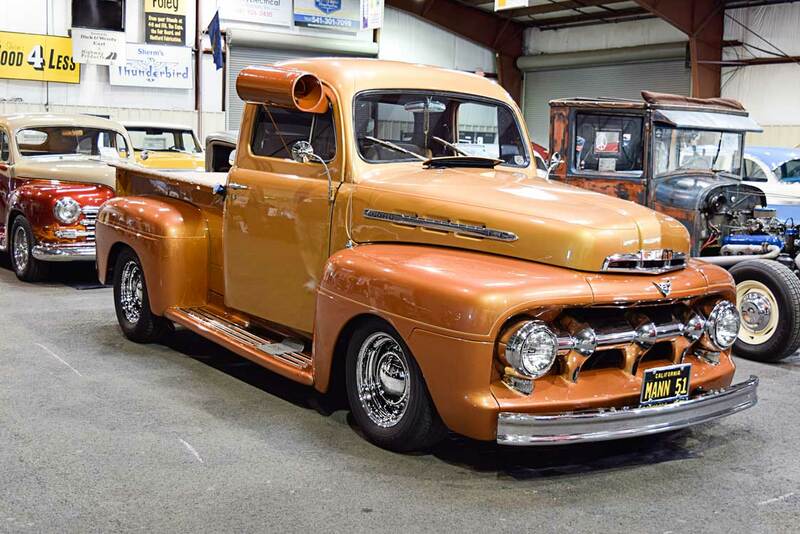 There was a Frazier on display at the Medford Rod and Custom Show. It wasn’t a hot rod or a custom, but a restored and well preserved old car that took me down memory lane. I’ve mention before that Rich does something that I’ve only seen at his show. 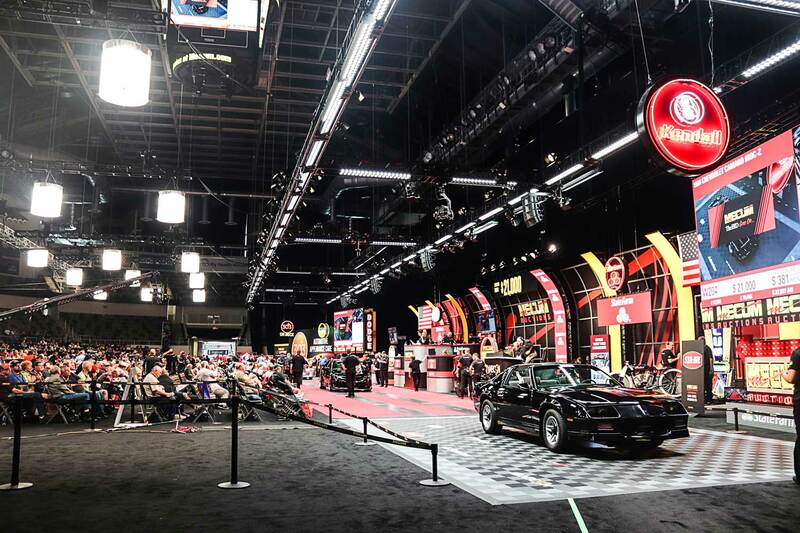 Any of you that have shown your cars in a show like this can confirm that it is a lot of work. 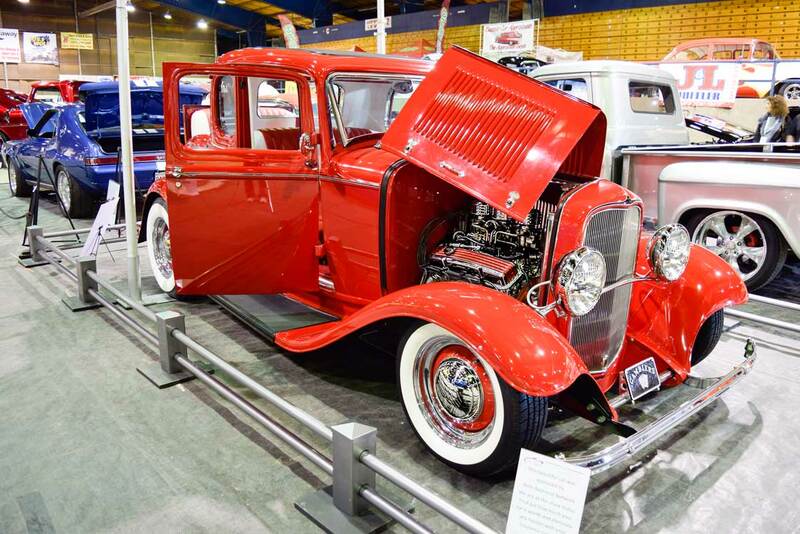 Cleaning, polishing, setting up your display and then maintaining it throughout the show can be a challenge and with your car on display you’re kind of stuck. You can’t really go home, you may not live locally, you can’t go back to your hotel, you have to keep your display looking clean and fresh. Rich creates a small “Participants Lounge” area at the show, where you can go to get a snack, a soda or just relax when all that dusting becomes too tedious. I’ve only ever seen this terrific idea at the Medford Rod & Custom Show. Other show promoters take note! This year the weather co-operated and stayed clear and sunny for the most part. The better weather resulted in a very busy Hot Rod parking area just outside the several display buildings. 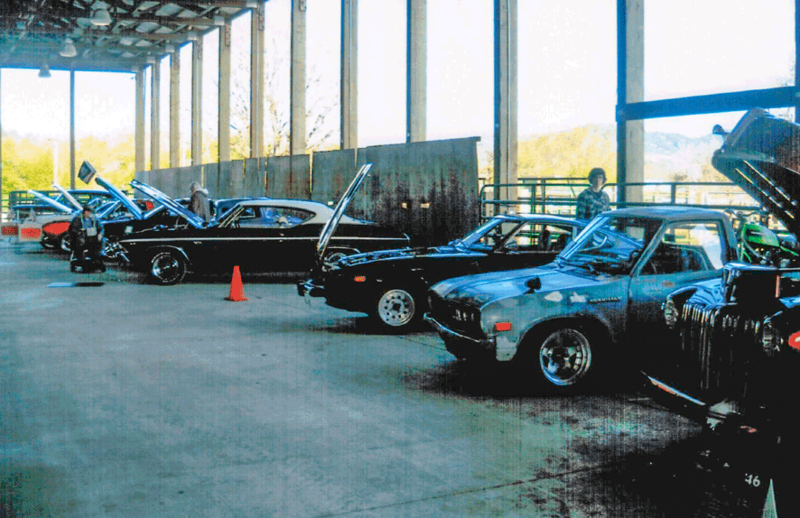 Many who came to see the show drove their own old car/hot rod etc. 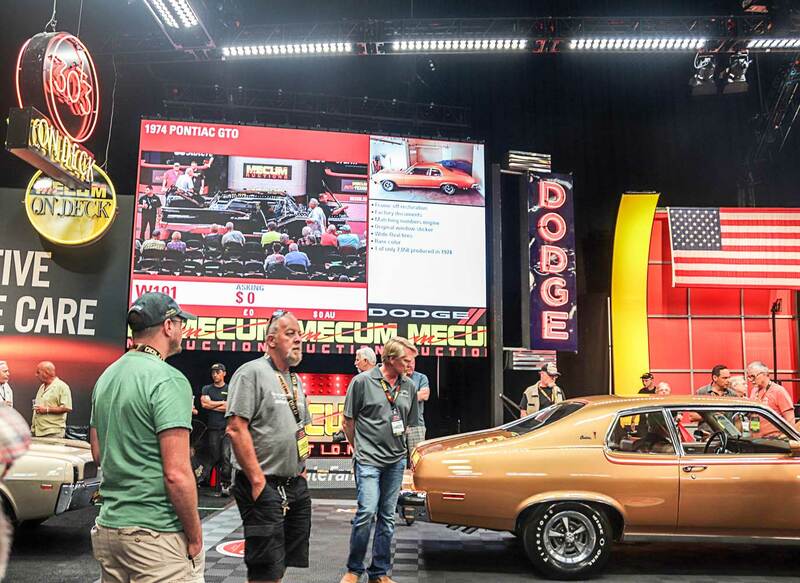 which created an outdoor cruise atmosphere and additional car display for everyone to enjoy. 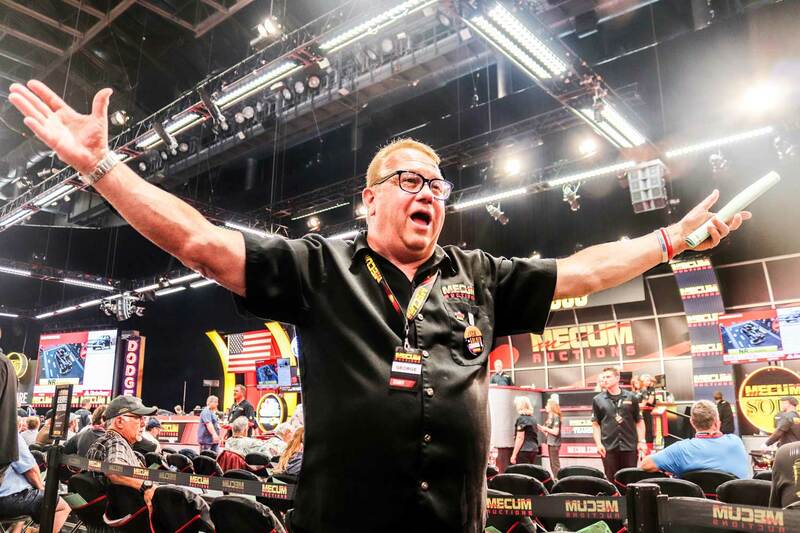 If you’ve never participated in or gone to this great show as a spectator, put it on your “to do list” for 2019. It’s worth it! 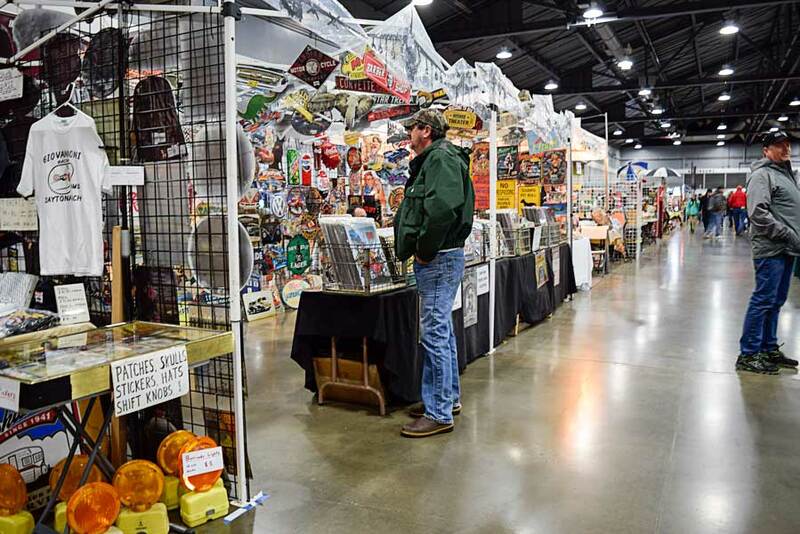 The 54th Annual Portland Swap Meet has come and gone again for another year. The weather even co-operated mostly this year. That doesn’t mean the wind didn’t blow and that it didn’t rain… No, it means the weather has been worse during other years. 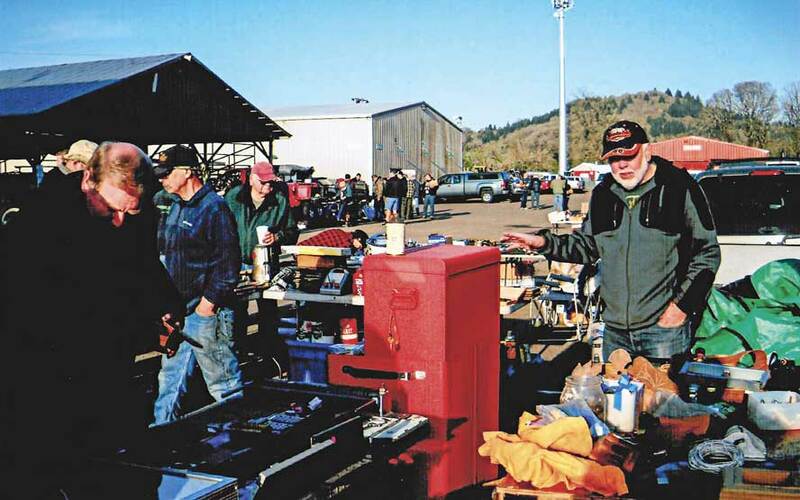 It rained some and the wind blew some, but the swap meet was as successful as ever. One of my friends has accused me of having rust in my veins… I don’t! Well at least I don’t think I do, but I am getting old. However, back to the PSM. It’s been around a long time. It’s changed some, grown, it’s shrunk, it’s been rained on etc. 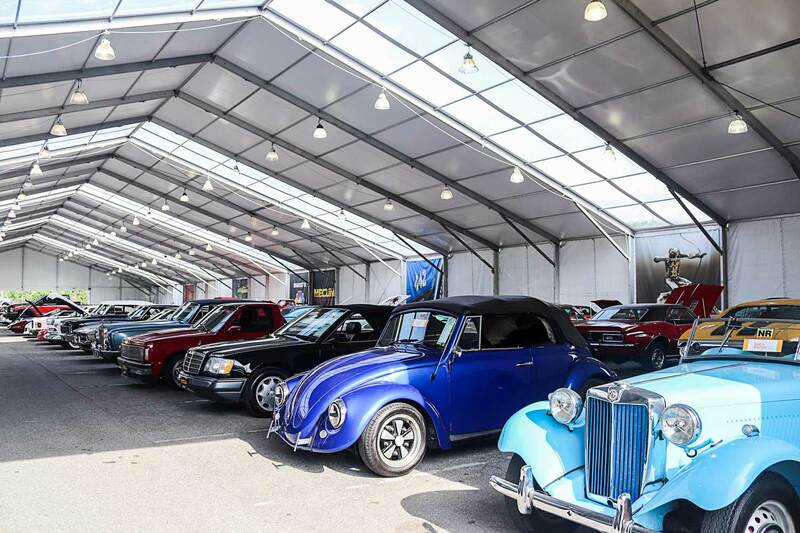 and yet it continues to be a one of the best swap meets on the west coast. The organization that puts it on has gotten it down to a science at this point. There are large parking areas conveniently near by where one can catch any number of shuttle buses that will take you to and from quickly and easily. This swap meet is well attended and the attention to traffic flow and transportation is much appreciated and well-orchestrated by the organizer. I always find most if not all of what I’m needing for my projects. 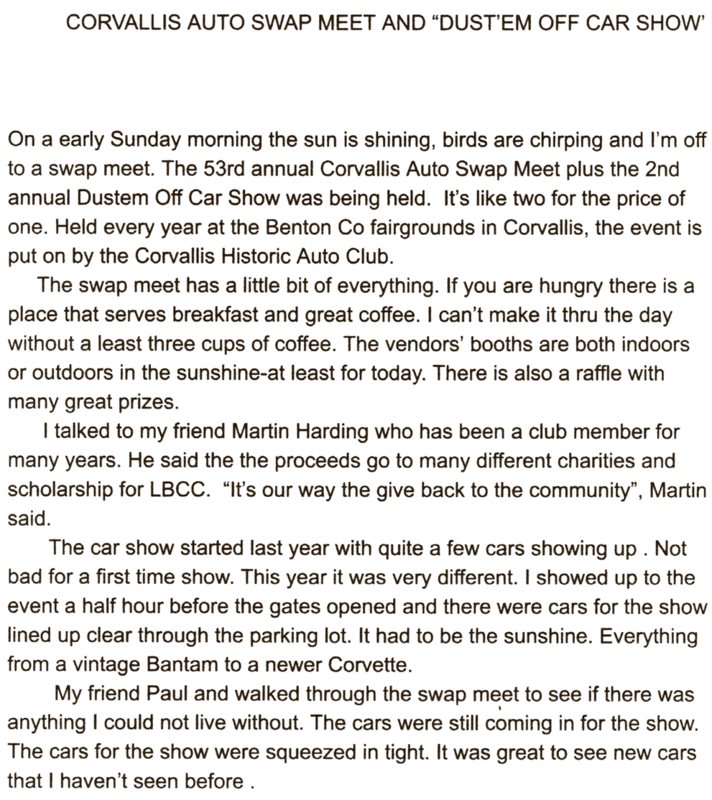 I’m looking forward to the next Portland Swap Meet, which by the way, is scheduled for April 5-6 & 7 2019. Put the date on your calendar and plan to attend.